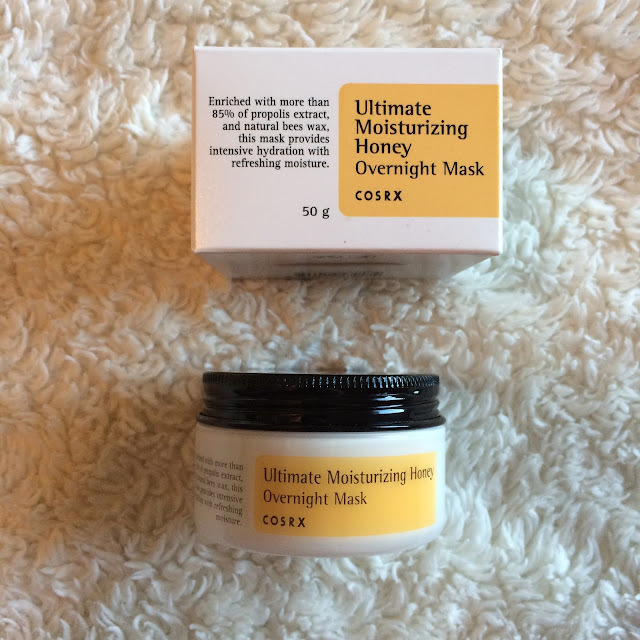 The Cosrx Ultimate Moisturizing Honey Overnight Mask contains 85% propolis, as well as beeswax, to soothe and hydrate dull and irritated skin, transforming it into radiant skin. It comes in a white plastic jar with a black tin lid - it may or may not come with a spatula depending where you order from. The Honey Overnight Mask is a golden honey color, translucent with a gel consistency, and has a sweet yet very light scent. I like this mask because it absorbs quickly into the skin (few sleeping packs I've found that don't sit on top of my oily skin) and leaves it hydrated and bouncy. It gives it a beautiful radiant look the following morning after use, and keeps my skin from getting dehydrated while also helping my acne heal more quickly. 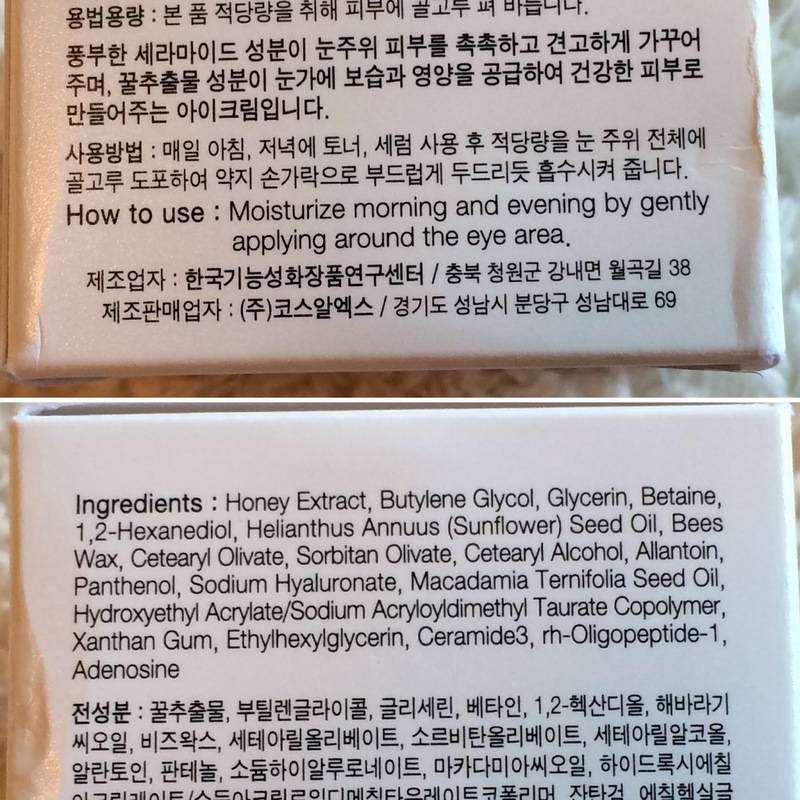 Ingredients: Propolis Extract, Butylene Glycol, Glycerin, Betaine, 1,2-Hexanediol, PEG-60 Hydrogenated Castor Oil, Arginine, Cassia Obtusifolia Seed Extract, Dimethicone, Ethylhexylglycerin, Carbomer, Sodium Hyaluronate, BeesWax, Allantoin, Panthenol, Sodium Polyacrylate , Adenosine. 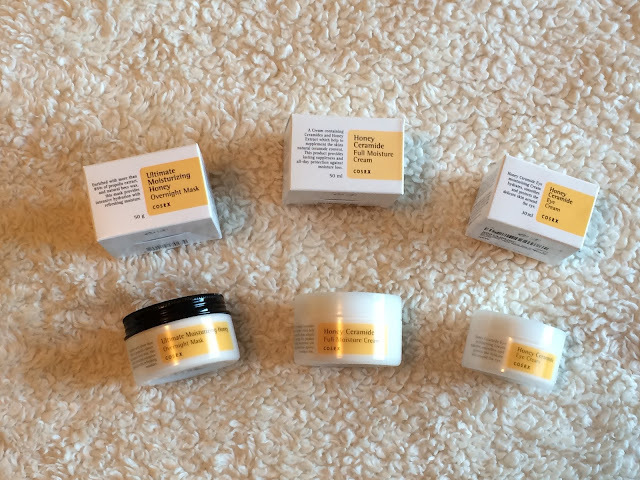 You can purchase the Cosrx Ultimate Moisturizing Honey Overnight Mask at Cupidrop, Amazon, MelodyCosme, Jolse, and Memebox. 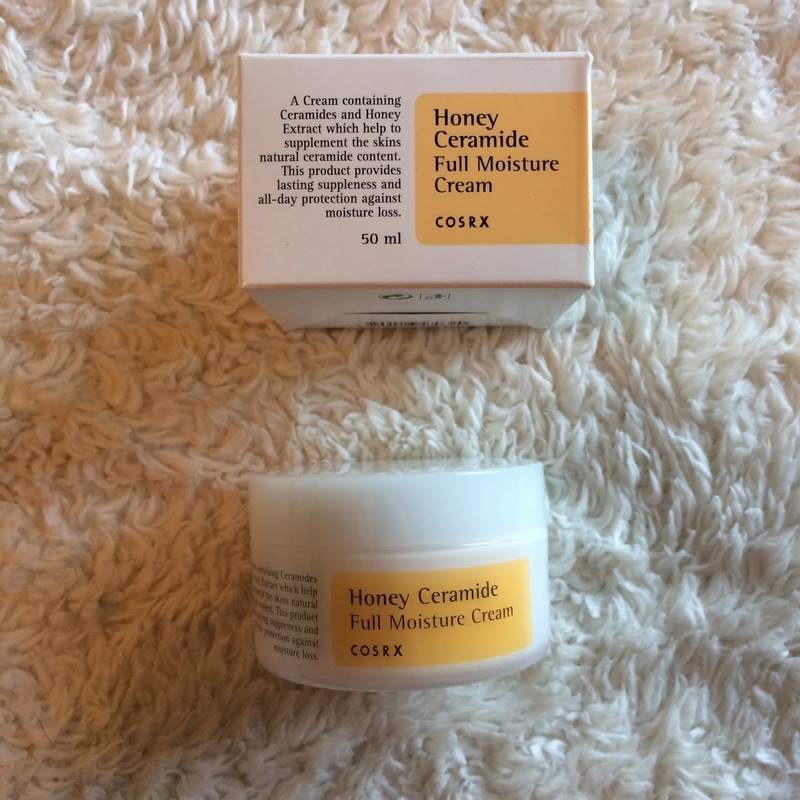 The Cosrx Honey Ceramide Full Moisture Cream combines the magic of honey with the power of ceramides - good for rebuilding the skins' natural protective barrier against environmental stress and contaminants, and providing a barrier that keeps your skin moisturized and healthy. It comes in a white plastic jar with a white plastic lid, that may or may not include a spatula. 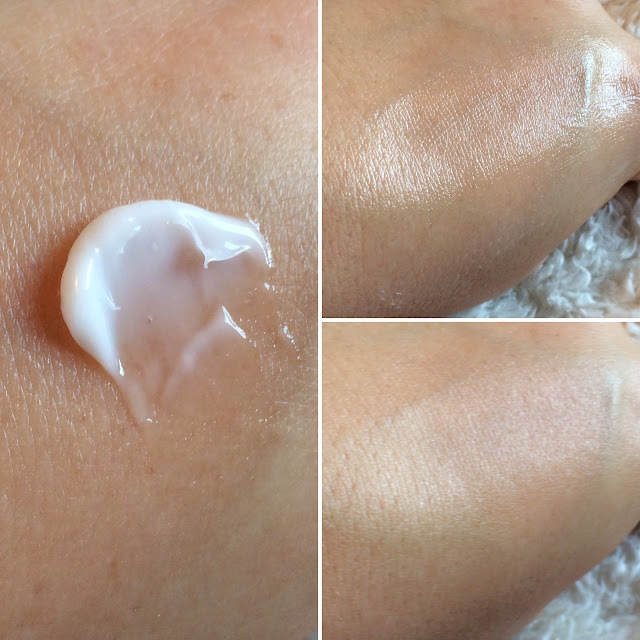 This is a thick white cream, with no noticeable scent, and a bit of an occlusive feel - this cream is best suited for normal to drier skin types. I like this cream when it's cold and dry in the winter, and after I've been shoveling snow my skin starts to dry out and peel. 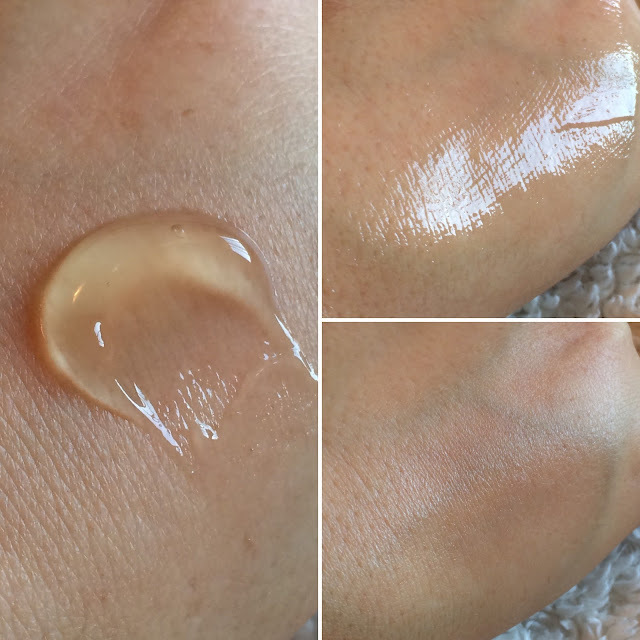 This isn't a cream I use regularly on my oily skin, though it does leave a satin finish and is not greasy at all, but it is one that will repurchase when I know harsh winter weather is coming. Ingredients: Honey Extract, Butylene Glycol, Glycerin, Caprylic/Capric Triglyceride, Helianthus Annuus (Sunflower) Seed Oil, Betaine, Cetearyl Olivate, Sorbitan Olivate, Dimethicone, 1,2-Hexanediol, Beeswax, Elaeis Guineensis(Palm) oil, Elaeis Guineensis(Palm) Kernel Oil, Hordeum Vulgare Leaf Extract, Cetearyl Alcohol "Hydroxyethyl Acrylate/Sodium Acryloyldimethyl Taurate, Copolymer", Ethylhexylglycerin, Sodium Hyaluronate, Ceramide 3, Xanthan Gum, Adenosine. You can purchase the Cosrx Honey Ceramide Full Moisture Cream at Cupidrop, Amazon, MelodyCosme, Jolse, and Memebox. 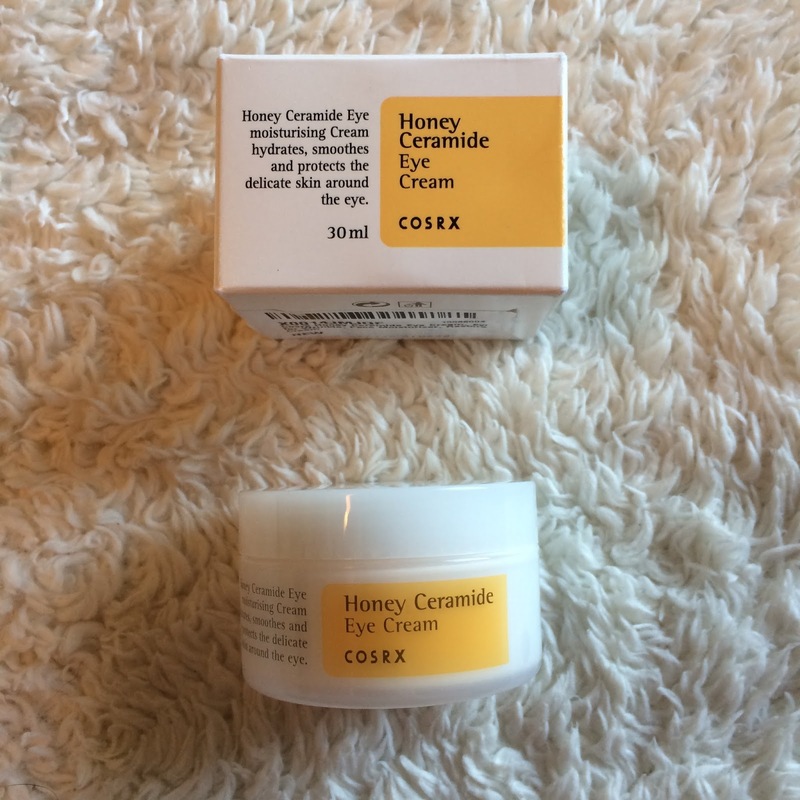 The Cosrx Honey Ceramide Eye Cream is very much similar to the Full Moisture Cream in texture, color, scent, and performance. 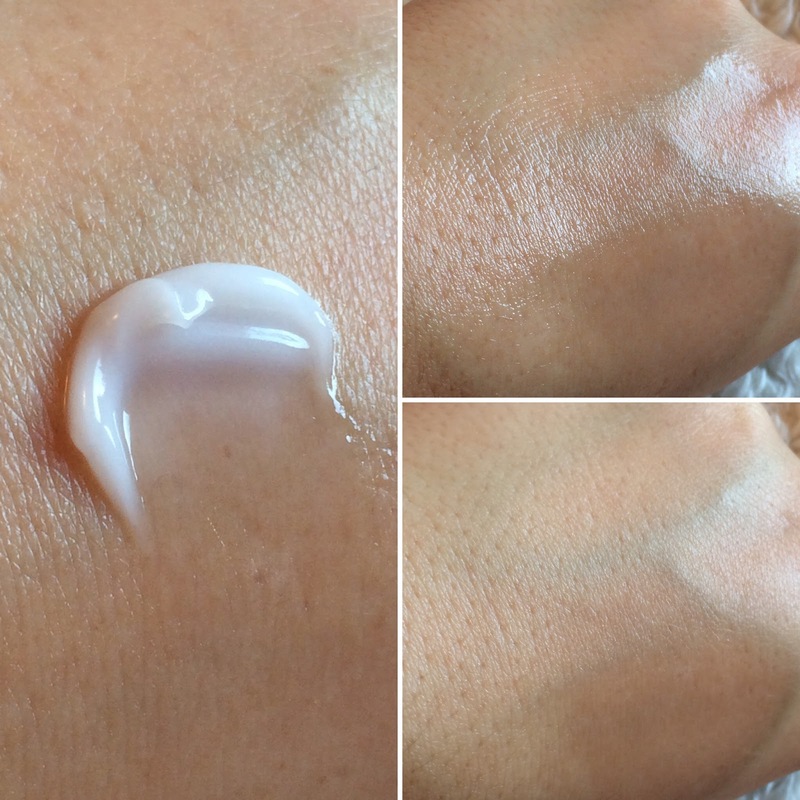 The differences are very subtle, but if you're looking for an eye cream that hydrates, brightens, and firms - this will do the job! This eye cream is slightly creamier than the Full Moisture Cream, and absorbs a bit better, but in my opinion the two are pretty interchangeable if you already own the facial cream. The eye cream does not contain dimethicone, and contains fewer oils however, so this is something to consider if your delicate eye area becomes congested easily. 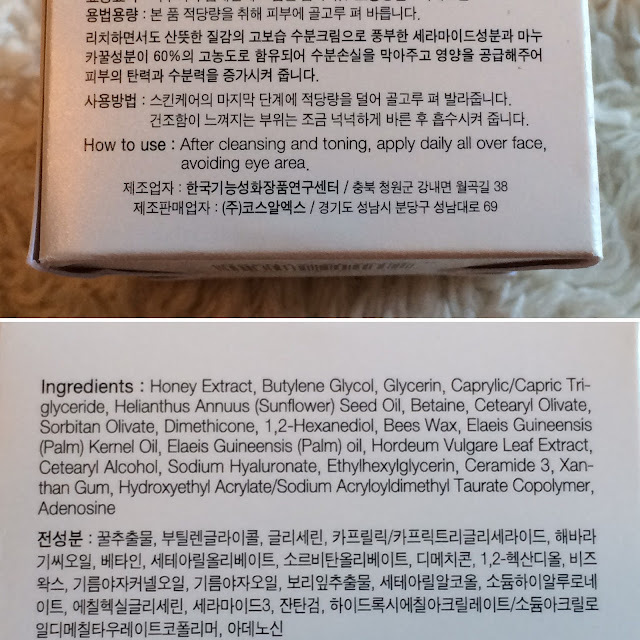 Ingredients: Honey Extract, Butylene Glycol, Glycerin, Betaine, 1,2-Hexanediol, Helianthus Annuus (Sunflower), Seed Oil, Beeswax, Cetearyl Olivate, Sorbitan Olivate, Cetearyl Alcohol, Macadamia Ternifolia Seed Oil, Hydroxyethyl Acrylate/Sodium Acryloyldimethyl Taurate Copolymer, Ethylhexylglycerin, Allantoin, Panthenol, Dimethicone, Ceramide 3, Adenosine, Sodium Hyaluronate, Xanthan Gum, rh-Oligopeptide-1 . 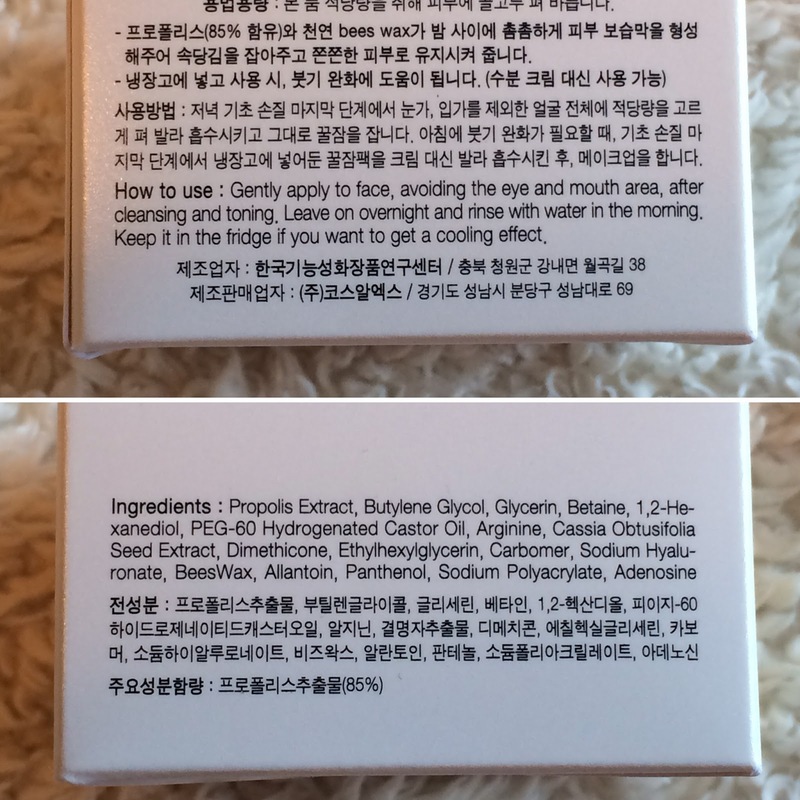 You can purchase the Cosrx Honey Ceramide Eye Cream at Cupidrop, Amazon, Jolse, and Memebox.